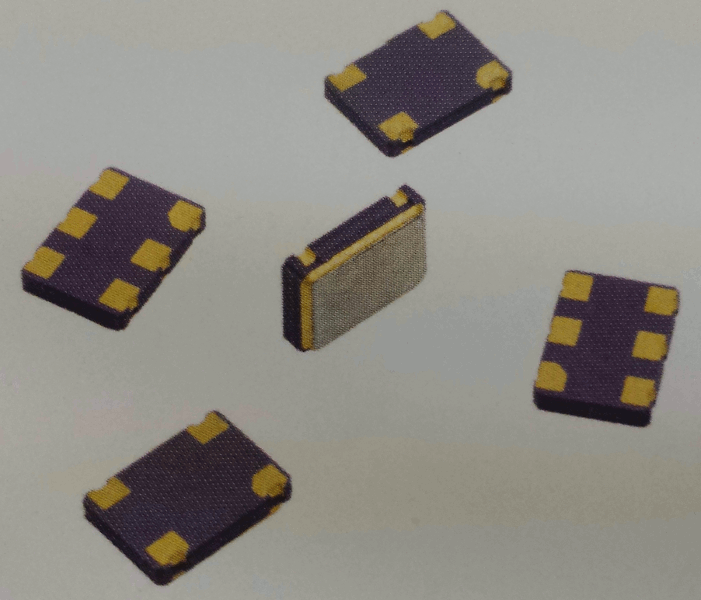 Bomar SMD VCXOs are available in many sizes of packages. 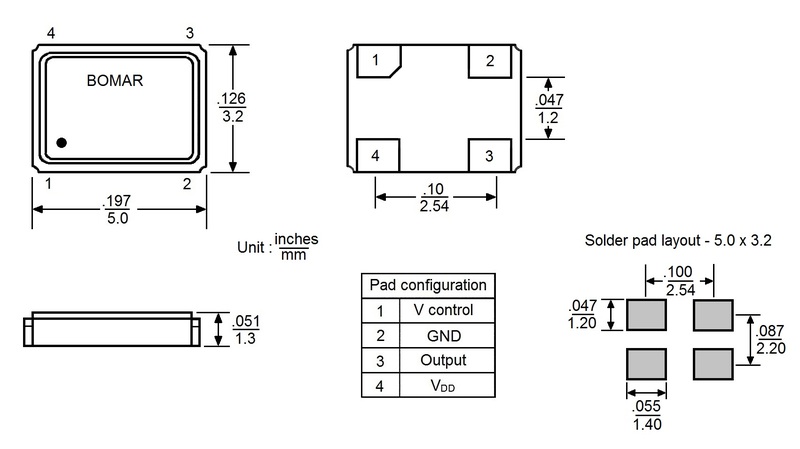 They offer wide frequency ranges and supply voltages of 5.0Vdc, 3.3Vdc, 2.5Vdc and 1.8Vdc. Tri-State E/D is optional on 6 pad packages. There are numerous options for pullability. Available in CMOS, LVPECL and LVDS logics. Tolerance to 10ppm and temperatures to -40o to +85oC. Current Consumption 50mA / 15mA / 15mA / 15mA max. Rise and Fall Time 10nS max.